Those first few weeks after your baby is born are life changing. It's as if your whole world has opened up to a new world of love. I want to capture that new world. 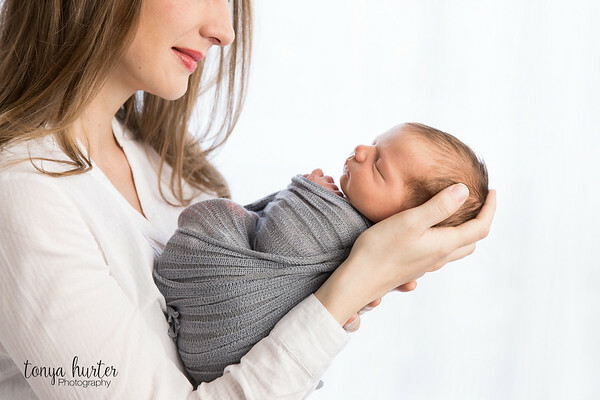 For your newborn session, I will create beautiful, timeless artistic portraits of your new baby and of course, the whole family. Plan to carve out at least 4 hours for your session. Sessions can take anywhere from 1.5-3.5 hours of your time and 2/3 of the session will be the baby and 1/3 of the session will include the family. Molding your sweet baby into those beautiful images takes time and care. I patiently, safely, and gently work with baby and only put baby in poses that his body wants to be in. Safety is one of my top priorities when I work with your newborn. I'm located in Morrisville and the studio is large enough to accommodate your family. The studio space is warm and cozy at 78-80 degrees with white noise to help baby sleep. It's like a baby spa! I have a beautiful collection of props, little pants, rompers, wraps, hair ties, bonnets, buckets, bowls, furs, and more. I design the session based on your color choices and desires. 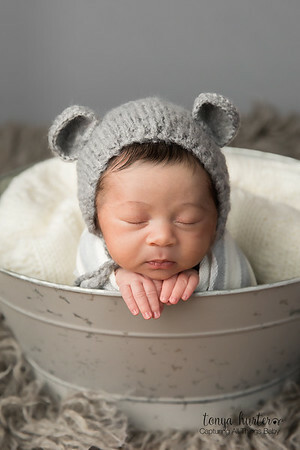 I recommend that you book your newborn session while you are still pregnant. I'd love to chat to you on the phone to plan your session and answer any questions you have. The best time to bring baby in for their session is between 5 and 12 days new. Babies are very flexible and sleep in a very deep sleep in the first two weeks of life. They grow out of the ability very quickly after the first two weeks which is why this is a standard time. BUT Don't be afraid to call me if your baby is a little bit older. We can still aim for that "newborn" session, we may need to work a little harder and will work with your baby's needs and body! All sessions include the digital images for you to download. Prints are optional to purchase. The high resolution, hand-edited digital images are delivered 3-4 weeks after the session in a beautiful online gallery for you to share with your family and friends who live near and far. You don't have to bring anything but milk and yourself for baby! I provide the props in beautiful soft, organic, creamy, warm colors of wraps, furs, baskets, blankets, and backdrops. You'll find some wonderful advice for what to wear in the Newborn Prep Guide.